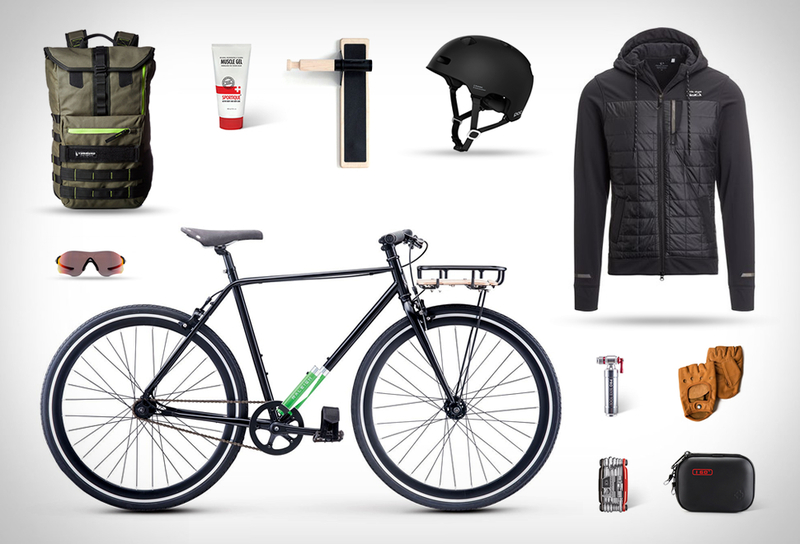 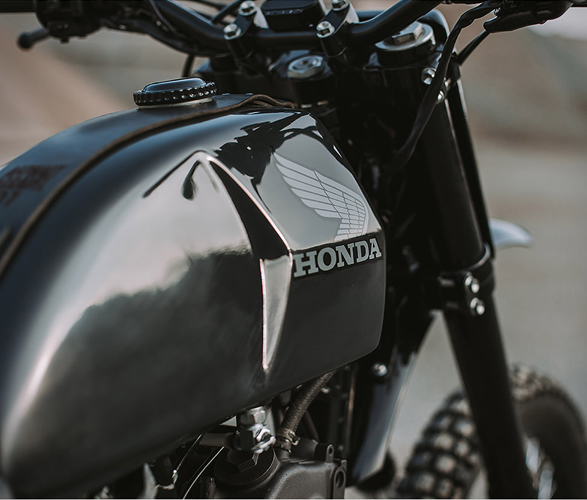 The Honda Dominator is one of the most iconic motorcycles of the Nineties, a great all-rounder with legendary Honda reliability and loads of potential. 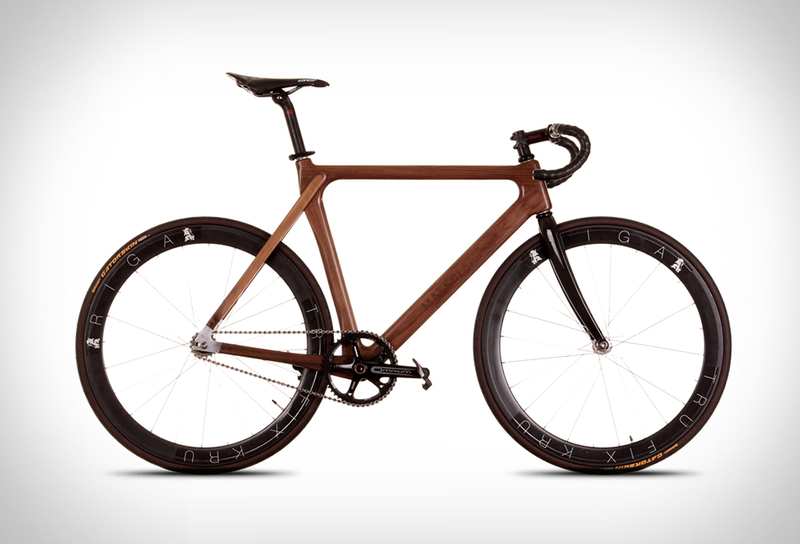 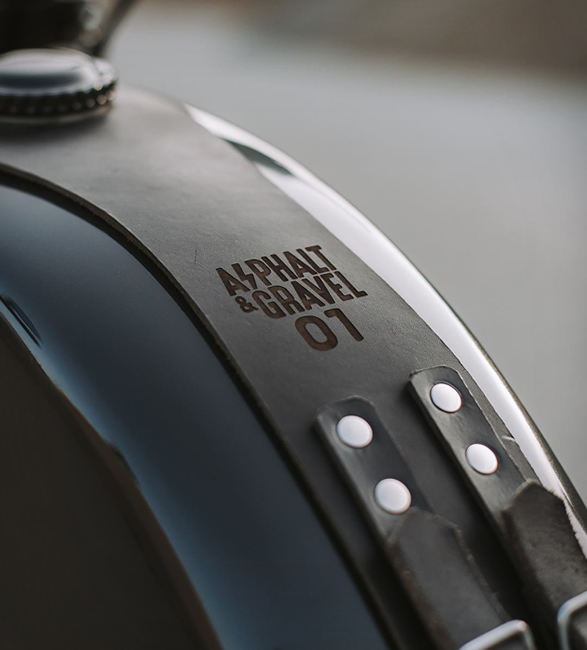 Nowadays it has become popular with custom builders, and the latest workshop to give it a twist are the guys over at Asphalt and Gravel. 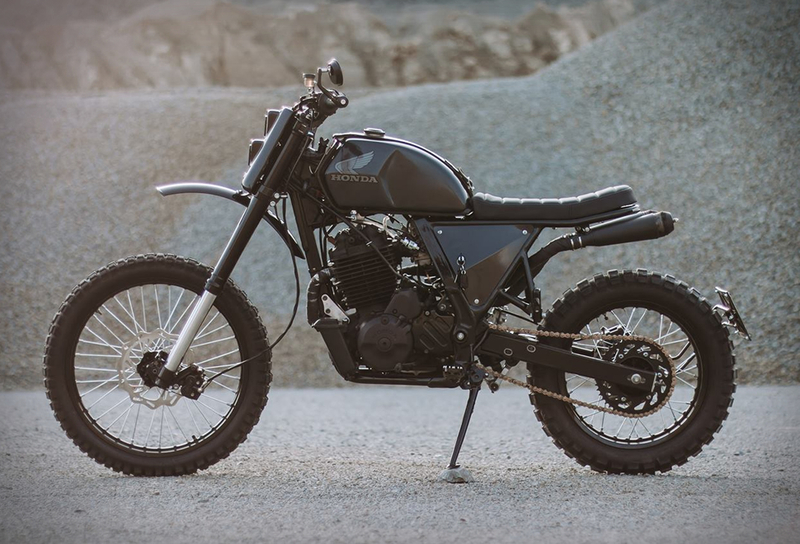 The donor bike is a Honda NX650 Dominator and the client wanted a scrambler with some 70s dirt bike influence. 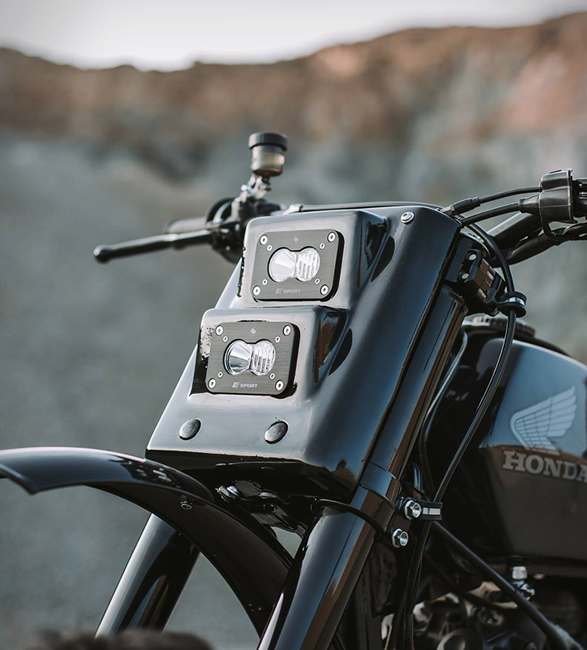 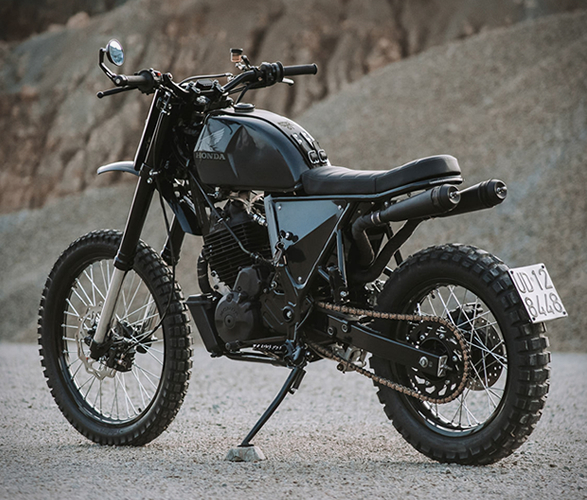 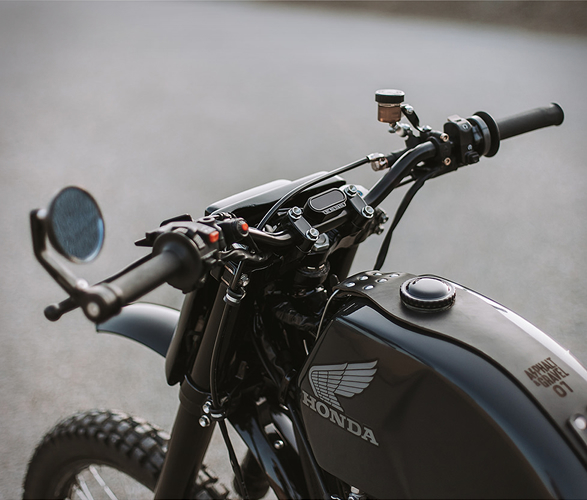 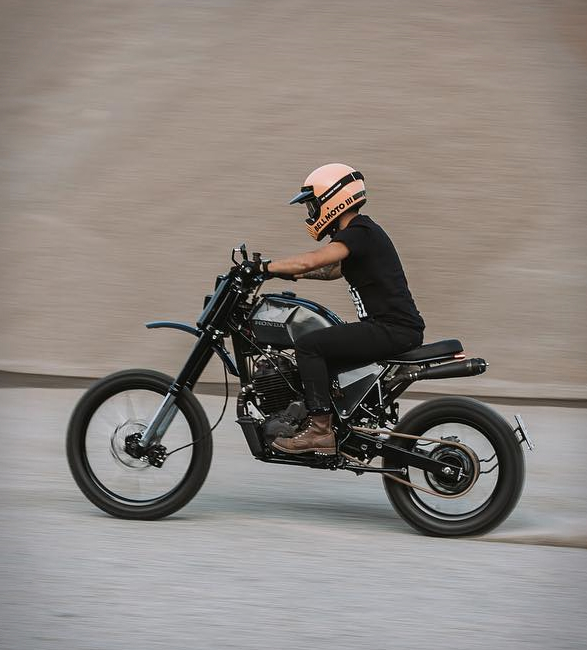 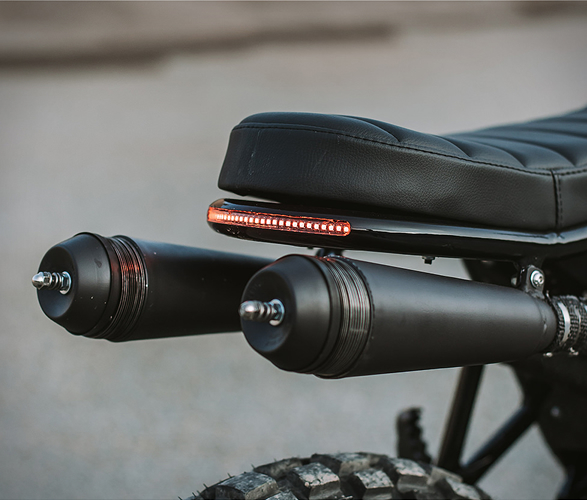 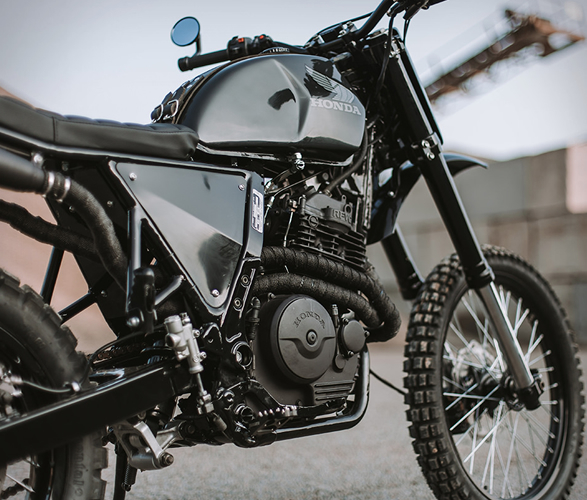 Major changes included a new gas tank from a 1971 KTM dirt bike, new LED lighting, hand-made side panels, a custom seat, a custom-made leather tank strap, and a new all-black finish.